It would be fair to say that there are few of us in Western society who have not been touched by ‘The Big C’. If not personally, cancer may have affected a relative, friend or someone you know. It is understandable, therefore, that any claims regarding the disease, particularly fresh thinking in the area, are fraught with a mixture of skepticism and hope, with healthy inquisitiveness pitted against fear and a defence of the current status quo, and any writings that challenge the accepted norm are up for intense scrutiny. 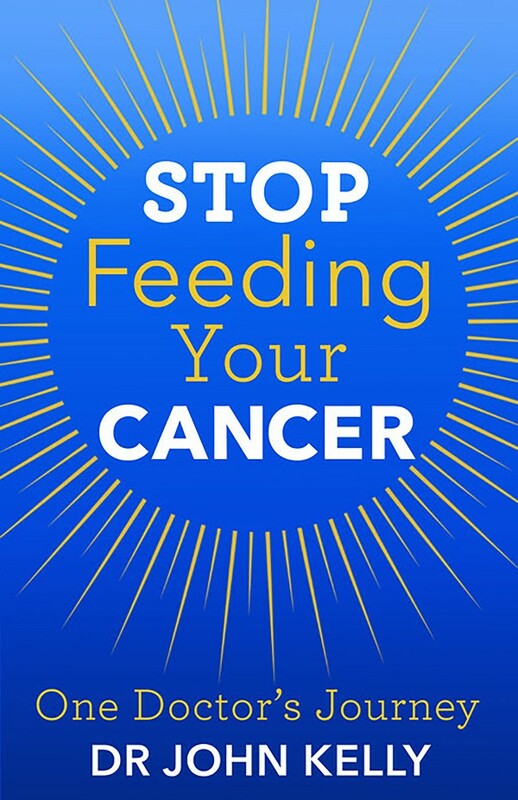 Stop Feeding Your Cancer is a book by Dublin GP Dr John Kelly that was published in 2014 and is already arguably one of the most controversial Irish books of recent times. The inspiration for the book came from The China Study by Professor T. Colin Campbell, published a decade ago, which was based on a detailed scientific study linking the growth of cancer cells to the consumption of animal protein. Kelly presents us with the essence of Campbell’s study, furthered by his own findings, in an easily accessible package built on the framework of his autobiography. It does not read like a medical journal and is no statistical database. Instead, it is the story of a man and what he did when The China Study fell into his lap. In his book he cites the initial motivation for undertaking the study as “To convince myself.” Needing to see the evidence first hand brought the study to his own surgery, where he conducted an informal trial with about 70 of his patients suffering from the disease. To date, with the exception of cancer of the Pancreas, none of his patients who have stuck rigorously to the diet have died from the disease. Although Kelly’s experiment churned up demonstrable evidence, he never claims in his book that his data has been medically endorsed. In fact, that is exactly his point. He has been dismissed throughout the entire process by specialists in the medical profession and would in fact welcome further targeted investigation, even if only to refute his findings. Kelly has met with much criticism, with many saying that he is not an oncologist and unqualified to comment, but in many ways this is what makes him the perfect spokesperson. A middleman who can translate to the layperson without the confines of “specialist club” membership, the politics of which are an obstacle to new ideas coming from within the system and are described in the book. At this point it is reasonable to wonder why, if this diet is so revolutionary, is it not being prescribed for cancer patients? It is a diet, not medication with side effects, so what harm can it do to just try it? It can do a lot of damage when we consider the house of cards we live in and official acknowledgement of this research could bring the whole lot tumbling down. “Governments have a vested interest in economic stability: the food industry has been honed for centuries, is an inviolable, economically sound model,” said Kelly. “The minds of cancer specialists are so cluttered with their pharmaceutical and surgical obligations that they are unable to accommodate critical revisionary thinking,” he continued. So far, the only noted health objection to the diet has been a possible diminishment in muscle mass for those undergoing chemotherapy. There are many writings on the benefits of a vegan diet (this diet is not strictly vegan, as fish is allowed) with many sports people endorsing it, Mike Tyson and Venus Williams to name but two. “Ironically, the treatment of cancer with chemotherapy does cause weight loss along with many other side effects,” was Kelly’s response to this. Stop Feeding Your Cancer by Dr John Kelly, can be found in all good book stores. You may also be interested in The China Study by T. Colin Campbell.